RAF Lakenheath by Ian McCartney. My first version of RAF Lakenheath was released nearly ten years ago with the MAIW Lakenheath package. This is the P3DV4 version of the FSX scenery released 18 months ago. I have utilised all our later techniques used on various ACG sceneries over the years and implemented them into this scenery. All scenery is P3D V4 coded including the ground polygons and the custom lights. This package features 96 V-22 Ospreys, of the USMC, including the Presidential (HMX-1) Squadron and the USAF 522 SOW at Mildenhall UK. The models are in FSX native code to enable more efficient use in FSX compared to the previously released FS9 models. These FSX models are also compatible with P3Dv4. The scenery for the USMC aircraft at MCAS Miramar is also included and links to 5 other sceneries are provided in the manual that can be used with the other aircraft. Converted files to enable use in P3Dv4 are included thanks to the original authors. 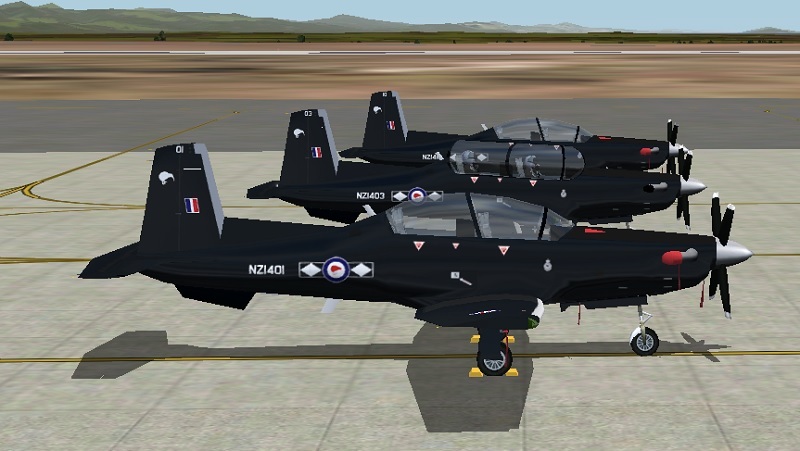 Textures for KRMG Texan II depicting 11 aircraft flown by RNZAF. No model included. Information in readme. This freeware package contains the NBAI Eurofighter Typhoon, created by Nick Black and converted for FSX by the team of Henk Schuitemaker. The converted model should give you better frame rates in FSX and P3D and ensures that the NBAI Eurofighter Typhoon displays correctly in P3Dv4. 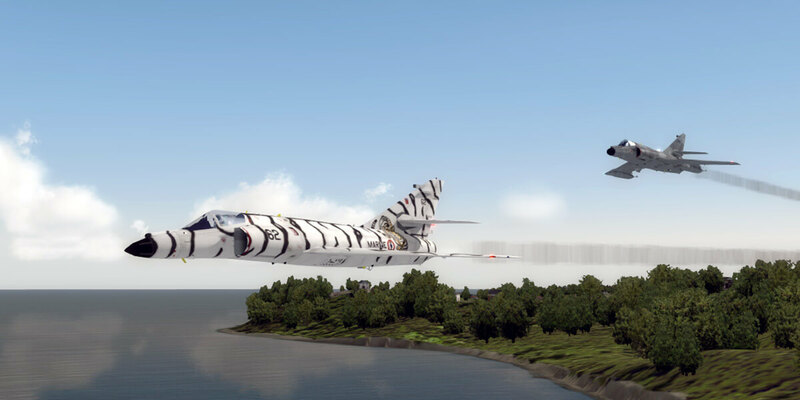 This freeware package contains the NBAI Dassault Rafale, created by Nick Black and converted for FSX by the team of Henk Schuitemaker. The converted model should give you better frame rates in FSX and P3D and ensures that the NBAI Dassault Rafale displays correctly in P3Dv4. 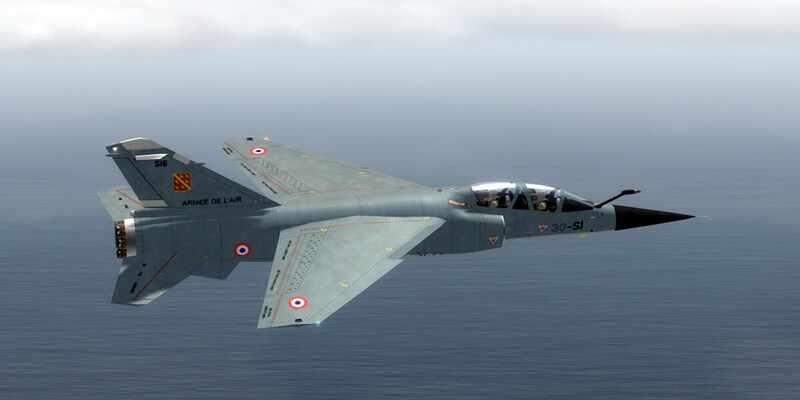 This freeware package contains the NBAI Dassault Mirage F1, created by Nick Black and converted for FSX by the team of Henk Schuitemaker. The converted model should give you better frame rates in FSX and P3D and ensures that the NBAI Dassault Mirage F1 displays correctly in P3Dv4. 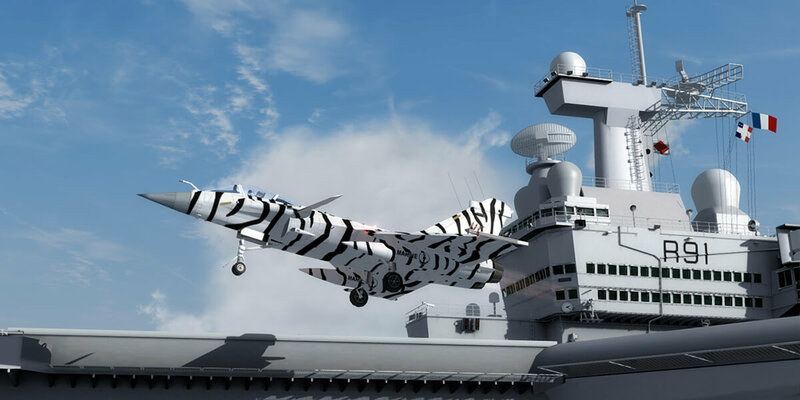 This freeware package contains the NBAI Dassault Breguet Super Etendard, created by Nick Black and converted for FSX by the team of Henk Schuitemaker. The converted model should give you better frame rates in FSX and P3D and ensures that the NBAI Dassault Breguet Super Etendard displays correctly in P3Dv4. 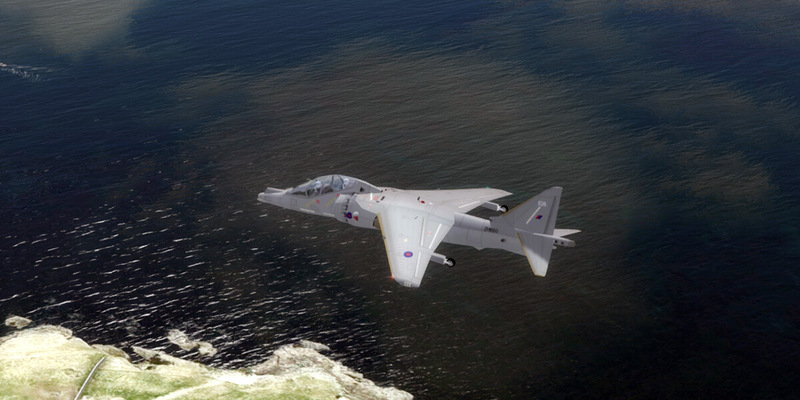 This freeware package contains the NBAI BAE Systems / Boeing Harrier Family, created by Nick Black and converted for FSX by the team of Henk Schuitemaker. The converted model should give you better frame rates in FSX and P3D and ensures that the NBAI BAE Systems / Boeing Harrier Family displays correctly in P3Dv4. This freeware package contains the NMAI McDonnell Douglas F-4 Phantom II Family Pack-2 (Model F-4C/D & 110A Spectre), created by Michael Pearson & Nick Black and converted for FSX by the team of Henk Schuitemaker. The converted model should give you better frame rates in FSX and P3D and ensures that the NMAI McDonnell Douglas F-4 Phantom II Family Pack-2 (Model F-4C/D & 110A Spectre) displays correctly in P3Dv4. 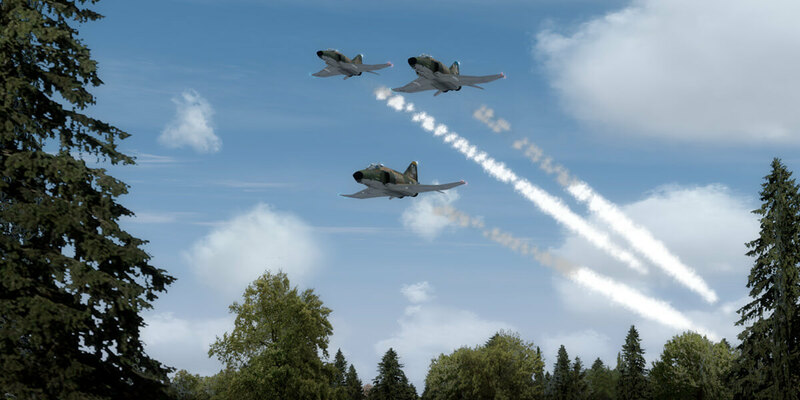 This freeware package contains the NMAI McDonnell Douglas F-4 Phantom II Family Pack-1 (Model (R)F-4C/E/F), created by Michael Pearson & Nick Black and converted for FSX by the team of Henk Schuitemaker. The converted model should give you better frame rates in FSX and P3D and ensures that the NMAI McDonnell Douglas F-4 Phantom II Family Pack-1 (Model (R)F-4C/E/F) displays correctly in P3Dv4. 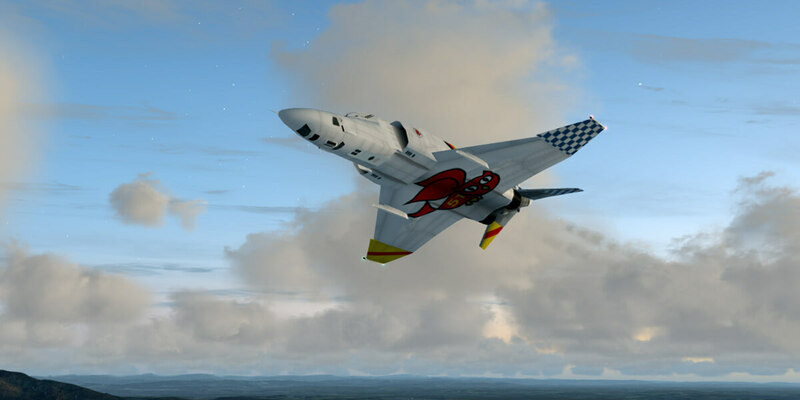 This freeware package contains the NBAI McDonnell Douglas F-4 Phantom II Pack-1 (Model E/EJ/F/G/QF), created by Nick Black and converted for FSX by the team of Henk Schuitemaker. The converted model should give you better frame rates in FSX and P3D and ensures that the NBAI McDonnell Douglas F-4 Phantom II Pack-1 (Model E/EJ/F/G/QF) displays correctly in P3Dv4. This FS9 package contains textures for the Miljan Korac M346 model. 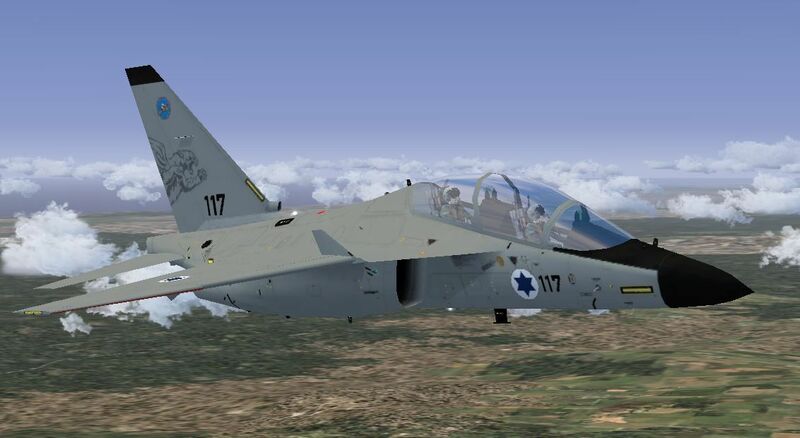 Repaints of the 30x Alenia Aermacchi M346i of 102 Squadron based at Hatzerim (LLHB or LL0D MAIW scenery). Updated to add the squadron markings on all tails. Tried to get imagery of the 50th anniversary celebration markings from IAF to no avail and I'm not clever enough to do it from scratch. 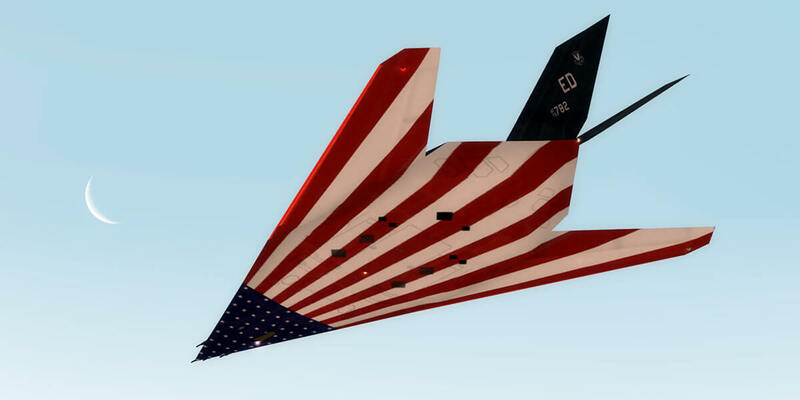 This freeware package contains the KRAI Lockheed F-117 Nighthawk, created by Kevin Reed and converted for FSX by the team of Henk Schuitemaker. The converted model should give you better frame rates in FSX and P3D and ensures that the KRAI Lockheed F-117 Nighthawk displays correctly in P3Dv4.